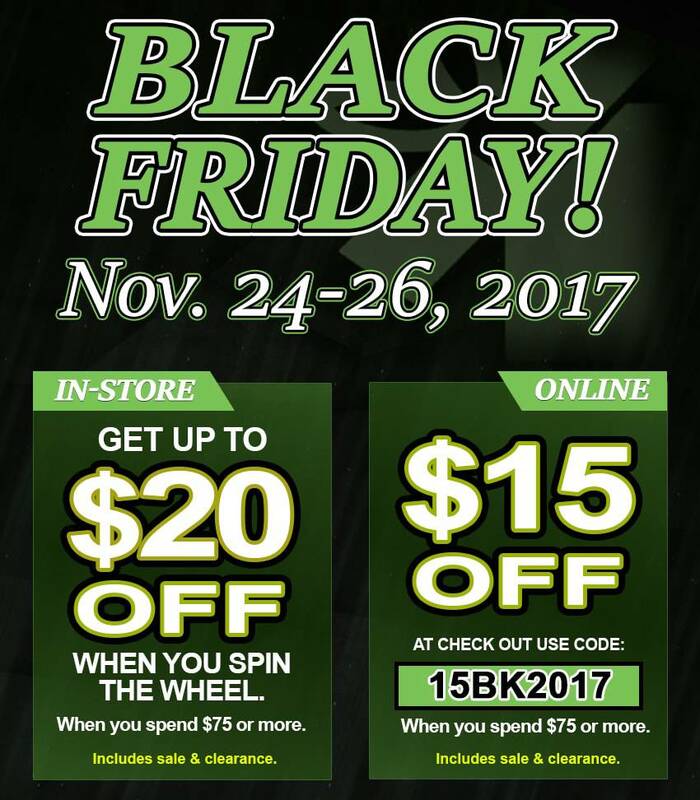 Countdown to Black Friday 2017 Deals begins now! Enjoy both in-store and online savings at Lucky Feet Shoes! IN-STORE: Spin the Lucky Feet Shoes PRIZE WHEEL for your chance to earn up to $20 off your purchase when you spend $75 or more! * ONLINE: Get $15 off your purchases when you spend $75 or more. USE CODE: 15BK2017 at checkout to get $15 off your purchase of over $75. Sales and clearance shoes are included in both in-store and online purchases. *Prize amounts include $5, $10, $15, and $20. Cannot be combined with other offers. Where to shop walking and running shoes for marathons? Whether you prefer to shop online or instore, at Lucky Feet Shoes we have a large selection of running shoes and walking shoes. However, if you prefer personalized shoe fittings, great customer service, we have nine comfort shoe stores located in Southern California. Which are located in Costa Mesa, Anaheim Hills, Rancho Cucamonga, Riverside, San Dimas, Long Beach, Temecula, La Quinta, and Palm Desert. We invite you to stop by for a free foot analysis and try our running shoes and walking shoes. In addition, we have a large selection of comfort shoes, wide shoes, walking shoes, running shoes, arch supports, and custom orthotics! Therefore, we encourage you to shop in-store for our personalized customer service and free foot analysis! So, schedule a free foot analysis today!